Sandflats B & B: Far from the madding crowd, you will find the tranquil country village of Paterson, close to Addo National Elephant Park where the only sounds disturbing you are the sounds of nature. Here you will find the Sandflats Hotel, where your hosts, Rudy and Denise Wilhelmi, are looking forward to make your stay as pleasant as possible. The Sandflats Hotel is ideally located for the visitor to make it a base from which to experience the best that the beautiful and diverse Eastern Cape has to offer. You can soak up the early morning sun on one of the many safe beaches around Port Elizabeth, spend the day in historical Grahamstown in the heart of South Africa’s Settler country and enjoy an evening game drive at the Schotia Game reserve. Sandflats Hotel/B and B was built at the turn of the last century, and is a quaint establishment reminiscent of a bygone era, offering clean and comfortable rooms and a host of facilities for the discerning traveller. Have your evening meal in the Lapa, browse in the Curio Shop – cool off in the splash pool or meet the locals in the Bar. Accommodation is on a bed and breakfast basis or self-catering in The Bank or Winters Cottage – both sleeps up to six persons. We are centrally situated within 20 to 30 minutes’ drive of six malaria free game reserves – all offering a unique African experience. Africa begins here, where the Tourist is King. Things to Do: Game Drives, Addo National Elephant Park self-drive or game drives various times of the day. Shamwari Game reserves all day game drive. The Big Five, Born free centre and Cultural Village. Amakhala Game reserve: Afternoon/evening. Game drive and River Cruise. Schotia Safaris afternoon/evening Tooth and Claw Game Drive. Bayhete Game Reserve: Morning Game Drives. Sunshine Coast: Golden Beaches, Safe Bathing within one hour’s drive. Bookings for Game drives are essential, and we will gladly book them for you. James Wright, South Africa: Spent a night on our way from Jhb to the Garden route. They are conveniently just off the main road. Our room was self catering and slept 4 on single beds in an open bedroom/ living room. The building is old and in need of some Tlc, but was clean and was all we needed. It was freezing cold and the bathroom is a long way from the beds which aren’t very comfortable. If you are on a tight budget and aren’t looking for luxury this could be an ideal base to explore Addo. Gail Surendorff: We really enjoyed our experience at Sandflats. The hosts were friendly and gave us information on places to visit in the area as well as for the rest of our trip. 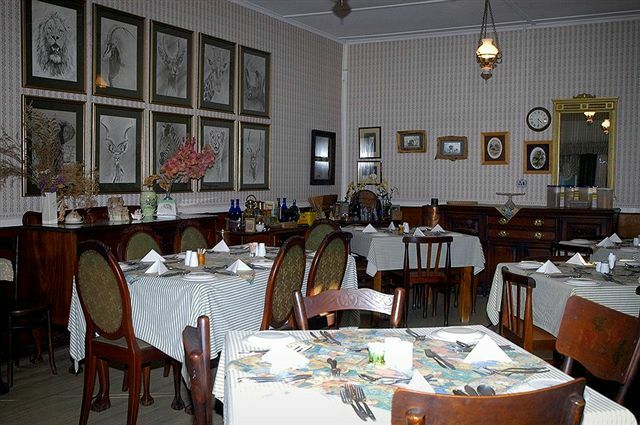 It is definitely a great place to stay when wanting to visit Addo Elephant Park. Winters cottage is the perfect family place as there is room for the children to get rid of their endless amounts of energy. Thank you Sandflats for making our holiday memorable. Nicolene Hamman, South Africa: We stayed in Winters Cottage. It was almost to big for our family of five. It is an old house and we don’t see many houses like this anymore. The owners are very friendly. Henriëtte Loubser, South Africa: Thank you for a wonderful time at Sandflats. The Winter Cottage was perfect for us.We enjoyed ourselves very much!